The very title is a form of theft. When Gustav Klimt painted the portrait that gives this film its name, he called it “Portrait of Adele Bloch-Bauer.” She was a warm, vibrant young woman who was a vital part of the extraordinary period of intellectual and cultural life in Vienna known as the Sacred Spring era. Adele Bloch-Bauer died in 1925, and the portrait hung in a place of honor in the apartment her husband shared with his brother, sister-in-law, and two young nieces. And then the Nazis invaded Germany, their atrocities included stealing the valuables of the Jews they were sending to concentration camps. 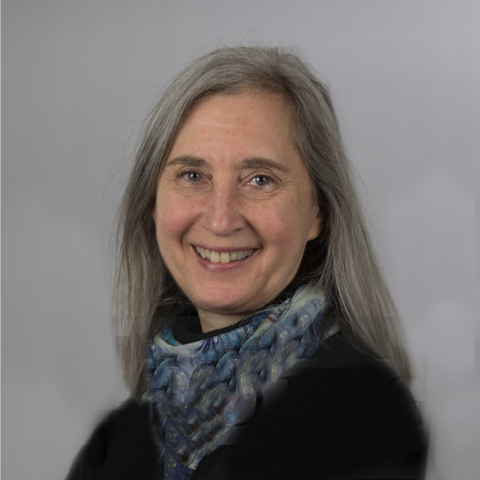 They took the portrait of Adele Bloch-Bauer and hung it in a place of honor, after they renamed it to remove identity of the subject and the Jewish association of her name. “Portrait of Adele Bloch-Bauer” became the anonymous “The Woman in Gold.” The beautiful choker necklace she wore in the painting was also stolen and given to the wife of Nazi officer Hermann Goering. More than half a century later, Maria Altmann, the niece of Adele Bloch-Bauer, asked the grandson of her old friend from Vienna if he could help her get the painting back. This film is the story of the painting, the lawsuit, and Maria’s indomitable spirit. Dame Helen Mirren is radiant as Maria, witty, spirited, an irresistible force who cannot give up. While we never doubt for a moment that she will prevail, Mirren makes us want to watch it all unfold. It is an extremely difficult case, with many arcane legal details, and the real-life story, like all real-life stories, is more complicated and controversial than any movie can convey. Director Simon Curtis (“My Week with Marilyn”) and first-time screenwriter Alexi Kaye Campbell keep the focus on the odd-couple relationship between Maria and the young lawyer (Ryan Reynolds), with flashbacks to show us Maria’s relationship with her Aunt Adele, and then her wedding to a handsome opera singer, just as the Germans are about to invade. Tatiana Maslany (“Orphan Black”) is lovely as the young Maria, and makes us believe she could grow up to become Helen Mirren. The portrait of Adele Bloch-Bauer now hangs in the Neue Galerie. And now this movie is a part of its story, putting Adele back into the picture and giving us a portrait of the niece who insisted that her story be told. Parents should know that this film includes WWII-era peril and violence, with references to concentration camps and genocide. There is brief strong language including anti-Semitic epithets. Family discussion: Why did Maria refuse Ronald Lauder’s offer to get her more experienced lawyers? What was the most important discovery in winning the case? 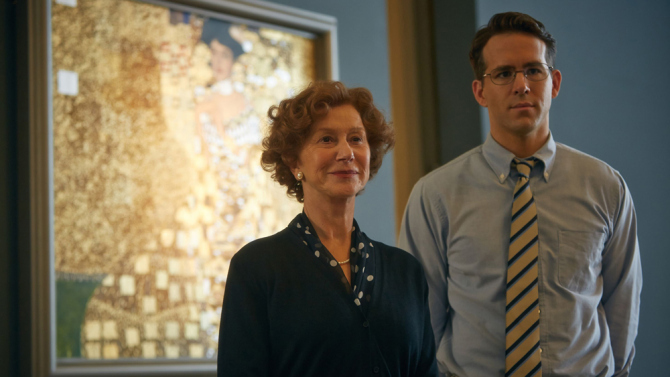 Director Simon Curtis told me, “My last film was My Week with Marilyn, and this one is my century with Maria.” He is referring to “The Woman in Gold,” with Helen Mirren as Maria Altmann, who brought a lawsuit to get back the portrait of her aunt Adele, painted by Gustav Klimt, which had been stolen by the Nazis. The story covers much of the 20th century, from Maria’s childhood in a wealthy Viennese Jewish family, in a luxurious apartment, where the portrait was on the wall. I met with Curtis and Randy Schoenberg, the real-life lawyer who represented Ms. Altmann, who is played by Ryan Reynolds in the film. This was not the first time Curtis worked with Dame Helen Mirren. He was a production assistant on one of her films, where he said his job was bringing her coffee. “That’s pretty much all I did with her on this film as well,” he laughed. In honor of Easter and Passover, the Today Show has some good suggestions for faith-based movies, from the very serious and respectful to the light-hearted. Previous PostPrevious Another “Star is Born” Movie? Possibly, with Bradley Cooper as Director and Beyonce to Star! Another “Star is Born” Movie? Possibly, with Bradley Cooper as Director and Beyonce to Star! 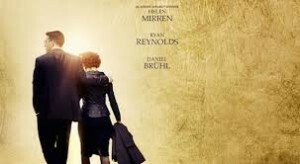 A movie that’s already been done three times (at least) may just get yet another remake if the rumors are true that Bradley Cooper will direct and Beyoncé will appear in “A Star is Born.” The original 1937 version , said to be inspired by (among others) the marriage of aging vaudeville star Al Jolson and rising movie star Ruby Keeler, starred Janet Gaynor as the fresh-faced newcomer and Frederic March as the once-powerful star who is now losing his lustre. The third version starred Barbra Streisand and Kris Kristofferson . “Evergreen” won an Oscar for best song. Reportedly, Streisand begged Elvis to take the role of the fading rock star. That would have been something to see. There are similar and related films, including the 1932 film “What Price Hollywood?” directed by George Cukor. Though he grumbled that the story was plagiarized from “What Price Hollywood?” he also directed the Judy Garland version. International adaptations include the Bollywood film “Aashiqui 2” and the Malayalam film “Bharatham.” Reportedly, the idea for “Nashville” came from a comment on a proposed country version of “A Star is Born” that unlike movie stars and rock stars, country stars never fade. We are honored to present an exclusive clip from “WWJD (What Would Jesus Do): The Journey Continues,” inspired by the best-selling classic book In His Steps . 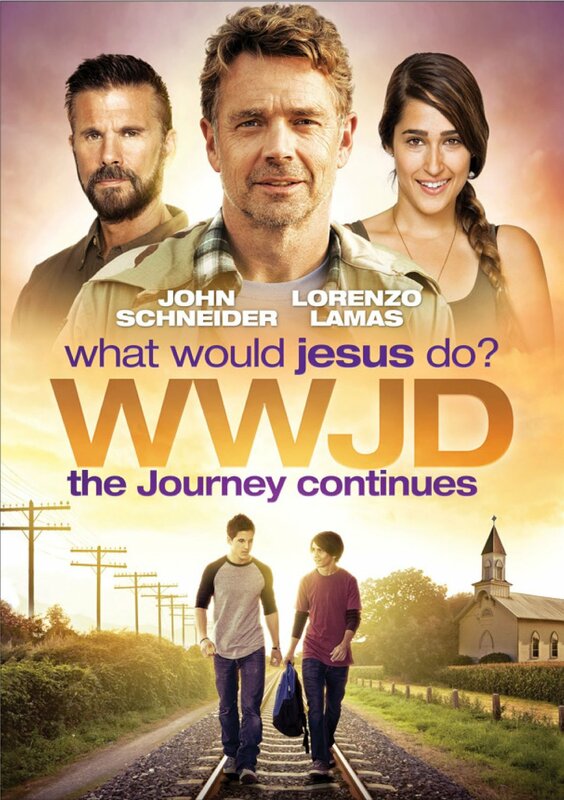 WWJD: The Journey Continues is available on DVD and Digital HD March 31, 2015. In this film, the drifter (John Schneider) once again arrives in a new town – inspiring a group of people to live as Jesus would. From a troubled teen heading down the wrong path and dragging his brother along with him to a young woman struggling with the pressures of being in a romantic relationship to a family hoping to reunite with their estranged father. And, when the local pastor Joseph loses his faith in the lord, the Drifter leads the pastor and the community on an improbable journey back to faith and redemption. I have five copies of the DVD to give away! To enter, send me an email at moviemom@moviemom.com with WWJD in the subject line and tell me your favorite spring memory. Don’t forget your address! (US addresses only). I will pick a winner on April 5, 2015. Good luck! Next PostNext Another “Star is Born” Movie? Possibly, with Bradley Cooper as Director and Beyonce to Star!